Is a founding member of “Suarez Law, Attorneys at Law”, established in September, 2010. This law firm concentrates primarily in the areas of Probate, Guardianship, Elder Law, Estate Planning, Special Needs Trusts and Probate and Guardianship litigation. Prior to establishing “Suarez Law”, Rudy was the founding member / partner of his firm, RODOLFO SUAREZ, JR., PA., which was formed in April, 2007, concentrating in the same practice area. 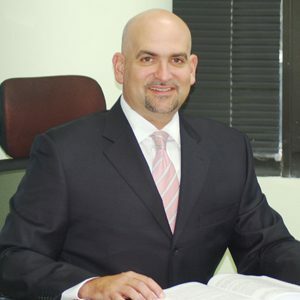 After being in practice for over 13 years as a personal injury attorney, and prior to establishing Rodolfo Suarez, Jr., P.A., Rudy worked in an Of-Counsel capacity with the firm of Solkoff & Associates, P.A. in the areas of Probate, Guardianship, Special Needs Planning and Medicaid Lien resolution. As a personal injury attorney, Rudy was an associate and then a partner in the personal injury firm of Fuller & Suarez, P.A., for over 11 years. As a personal injury trial lawyer, he represented victims of medical malpractice and nursing home negligence / abuse as well as plaintiffs in a variety of personal injury cases.